Rebel Sultans: The Deccan from Khilji to Shivaji is Manu Pillai’s second book. Pillai won the 2017 Sahitya Akademi Yuva Puraskar for his book The Ivory Throne. 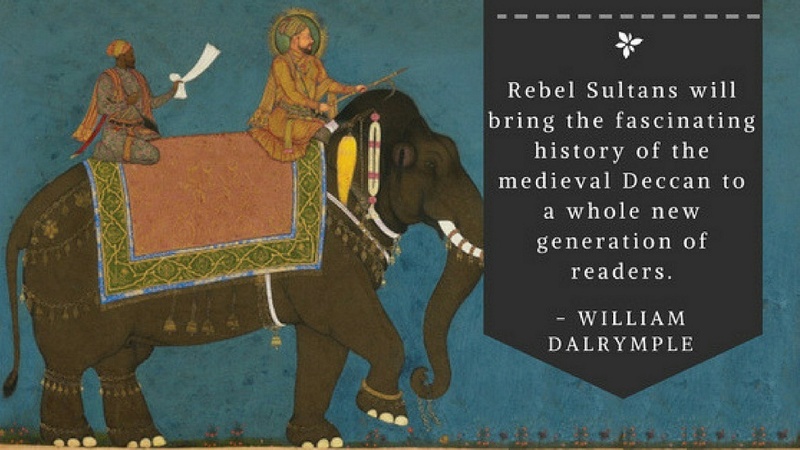 His book Rebel Sultans is a riveting narrative of the Deccan from the end of the 13th century to the dawn of the 18th. The book travels through time from the age of Alauddin Khilji to Shivaji’s ascent, witnesses Vijaynagar’s rise and fall, intrigues at the Bahmani kings’ courts and the scheming of the Rebel Sultans who overthrew them. Here are some reviews which might get you interested in reading this book as well! “The book is a culmination of 400-years of history cramped in 200-pages. Starts with the first violent inroads by the Delhi Sultanate in the Deccan in the early 13th century and ends with the beginning of the Maratha Empire by Shivaji. I doubt many of us knew anything in depth about the different sultans in the South. History books in schools gloss over the medieval part as if India started in Delhi & ended after the death of Aurangzeb. The author does a commendable job of interlinking the ebb of North India with the chronology of the South. “Supremely brilliant book. Perfect example of how to make history informative, interesting, gripping and unbiased. If you still haven’t read the book, then you can read Manu Pillai’s Rebel Sultans: The Deccan from Khilji to Shivaji here.